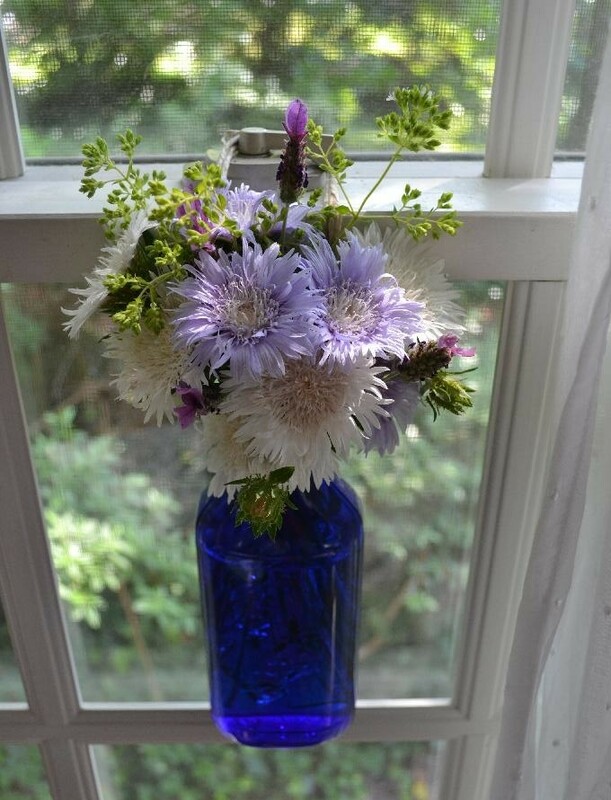 When it comes to decorating with fresh flowers, I can find a way to use just about anything that can be plucked from the garden. A little of this and a little of that whimsically arranged into a vase or basket or formed into a casual wreath is an easy way to transform a plain room into something bright and fresh. 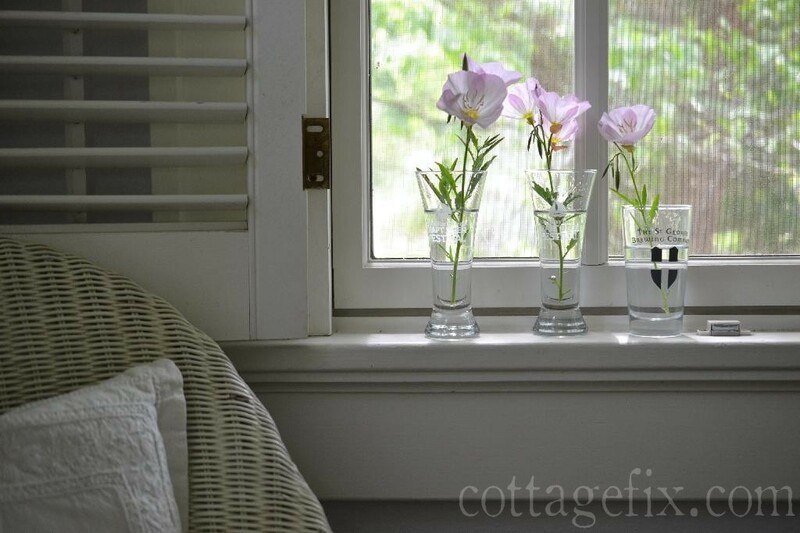 I love to place a tiny bouquet in our guest bath, on the windowsill or sink, to make our guests feel special. Long stem peonies or hydrangeas are perfect for a dramatic look, or cut them short for a more casual creation. When the winter chill hits, I hunt for fresh greenery in our back yard. There’s always a little something out there. The main thing to keep in mind when decorating with blooms from the garden is that you don’t need to be a professional florist to create something beautiful—they’re already beautiful! They’re flowers afterall, just chuck them in some water and you’re good to go. I wasn’t really into picking flowers to bring indoors when my kiddos were small, even though our duplex was surrounded by azaleas. It just never occurred to me. As they grew older and our baby proofed home began to bore me, I started to bring in a few chachkis and flowers to display up high, on the mantle or dining table, where little fingers couldn’t get to them. A hanging jar works great in households with little people and pets. Just tie a piece of hemp string around a jar and then loop another piece around to make a holder. I love, love this look and there’s no stress worrying about it getting knocked over. Babies, pets, and flowers can all live together harmoniously under one roof. Ahh. I often don’t have enough of one type of bloom to fill a vase, especially a big galvanized bucket like the one below. So I like to just mix together whatever I have. This bouquet is grouped together in two sections by color. It’s also fun to add a trailing vine — our garden is never growing short on ivy. 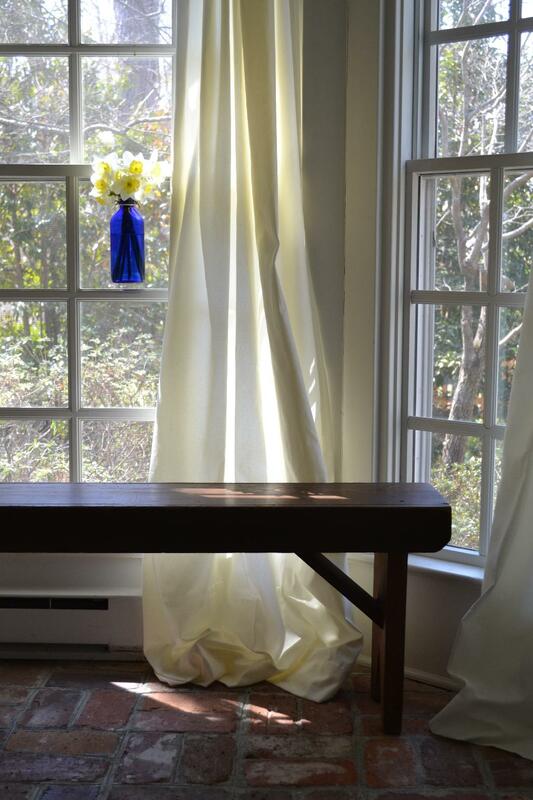 It softens up the look and adds a fresh spring green. Our garden has daffodils, azaleas, peonies, roses, hydrangeas, and herbs. We planted tulips last year and more peonies this year with no success, bummer. So while I’m waiting on more variety, we can’t rush a garden to grow. I like to try to reinvent the same blooms in different arrangements each year. Depending on where I’ll be displaying my flowers and in what sort of vase determines if they’ll be long stems or short. 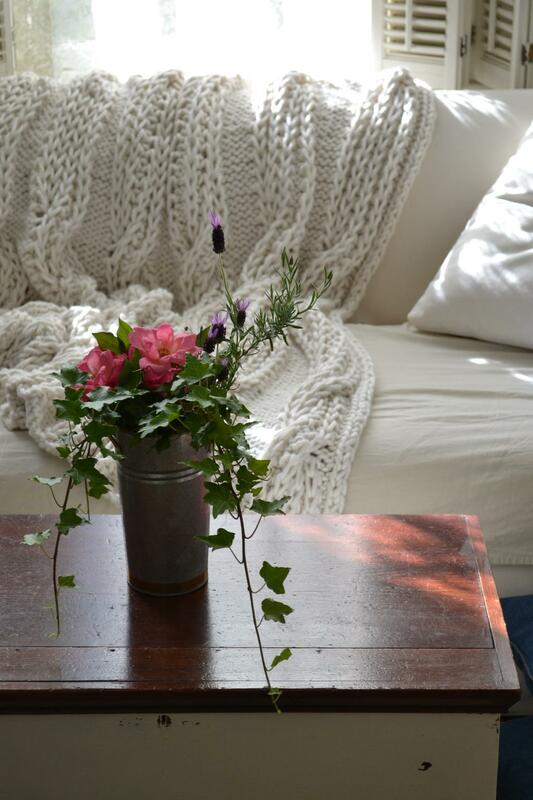 Short stems work well in tiny containers and easy going casual spaces. 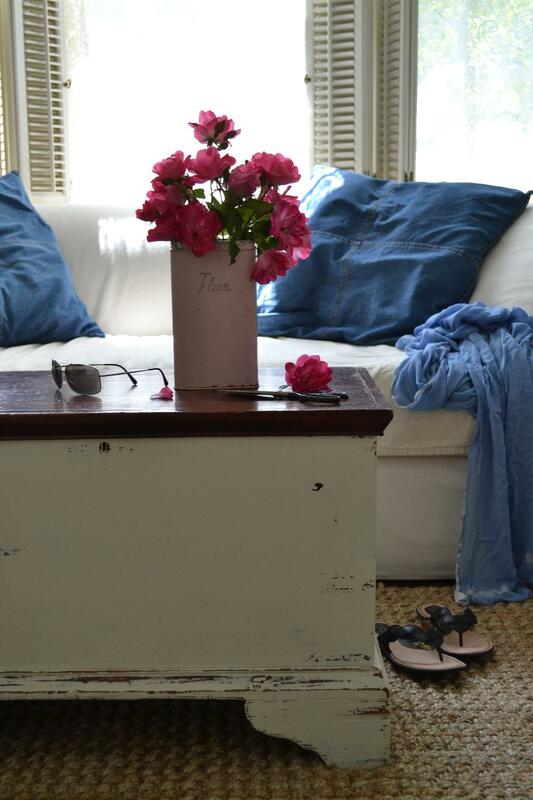 And then I cut the stems longer on the same bright pink peonies for a more dramatic look in a taller container. Somewhere in between often works best. 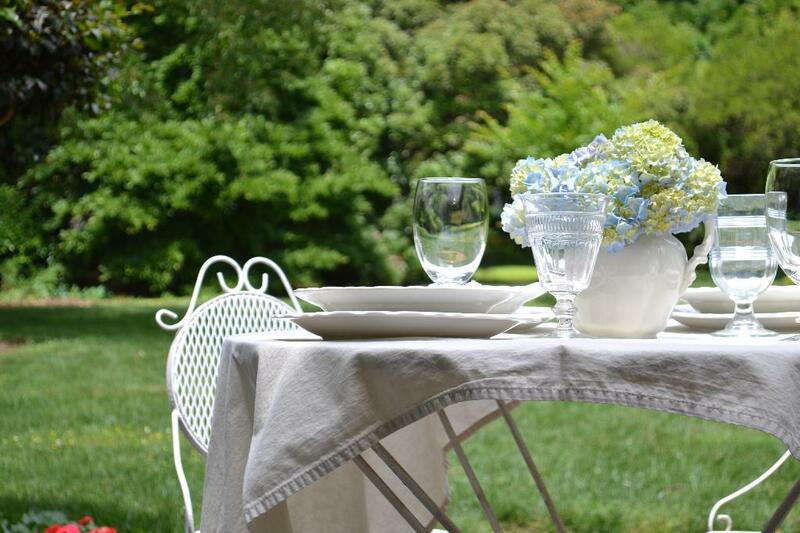 I cut these hydrangeas medium length for dining outdoors. It’s nice to create a centerpiece that isn’t so tall that it’s hard to see family and friends across the table. Have you ever been invited to dine at a table with huge tall centerpieces where everyone is leaning from side to side to talk. That cracks me up! This takes a bit more effort but looks so special. 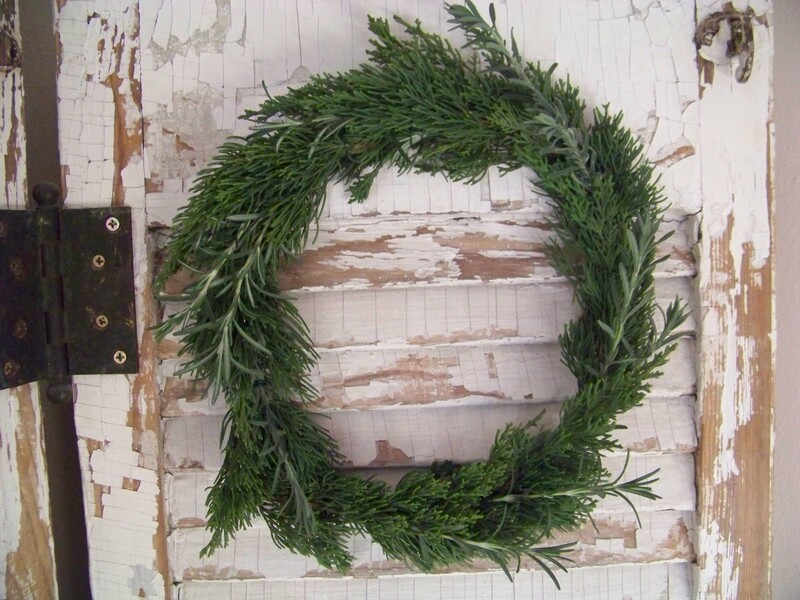 I like to make these sweet little wreaths for holidays and special occasions. 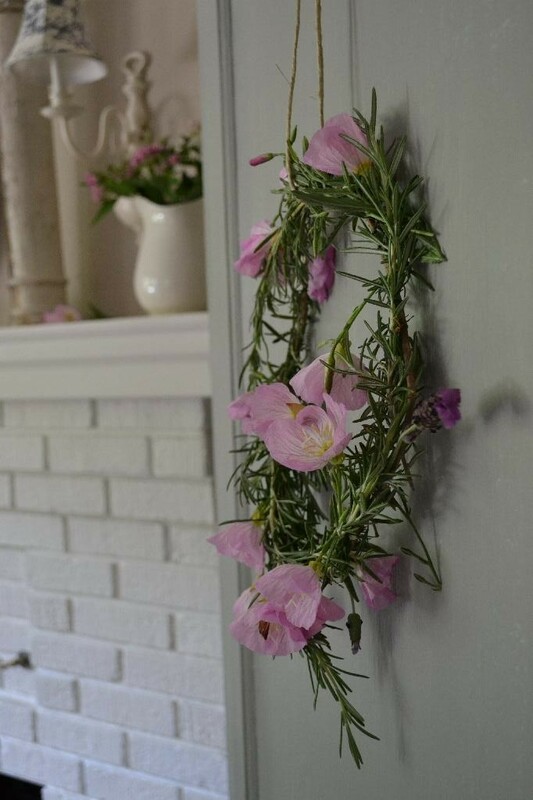 I made this one last spring out of rosemary and primrose. It slowly dried and looked beautiful for a few weeks. I use green floral wire to secure the branches and blooms and just keep adding greenery and flowers until it looks right. The holiday wreath below was a bit flimsy so I secured it in two places to help it keep its circular shape. I’m always looking for a new way to display my garden blooms and changing up the vase is a great way to get a new look. I like to hunt through my cupboards and see if I can find something unique. These are beer tasting glasses from some local festivals. 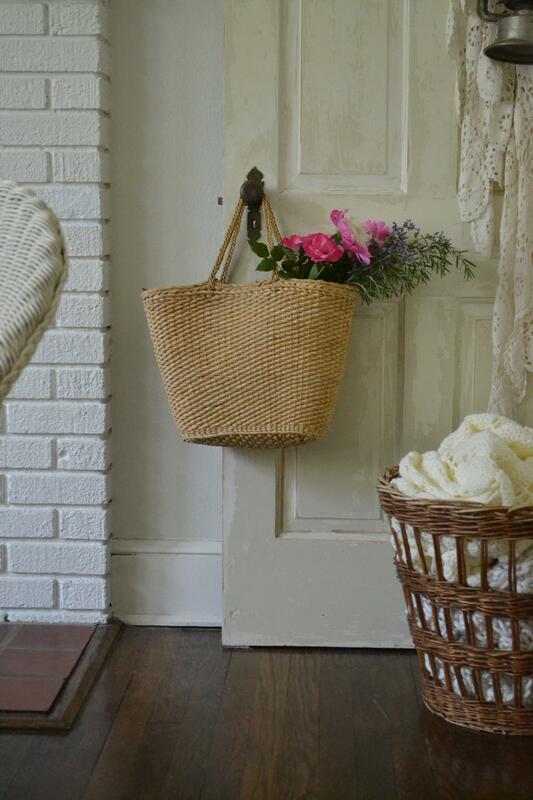 This is one of my all time favorite looks, a hanging market tote full of blooms. And, it’s also another great look for homes with little ones and pets. Just add a container full of water inside your tote and hang, it looks like I’m just back from the market. I filled mine with rosemary, peonies, and roses. How about a flour canister for a fun look? Here I went with a double dose of pink, pink roses displayed in a vintage pink canister. 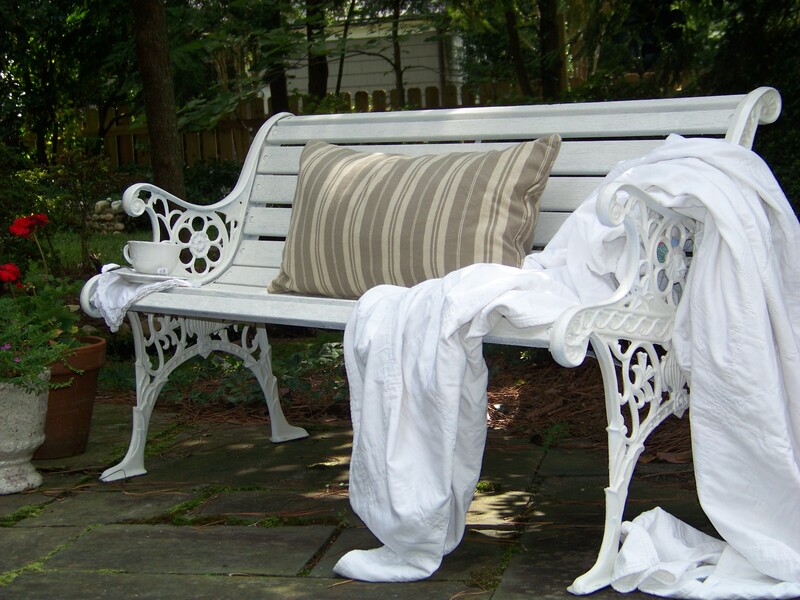 During winter and fall months I include fresh greenery and changing leaves. 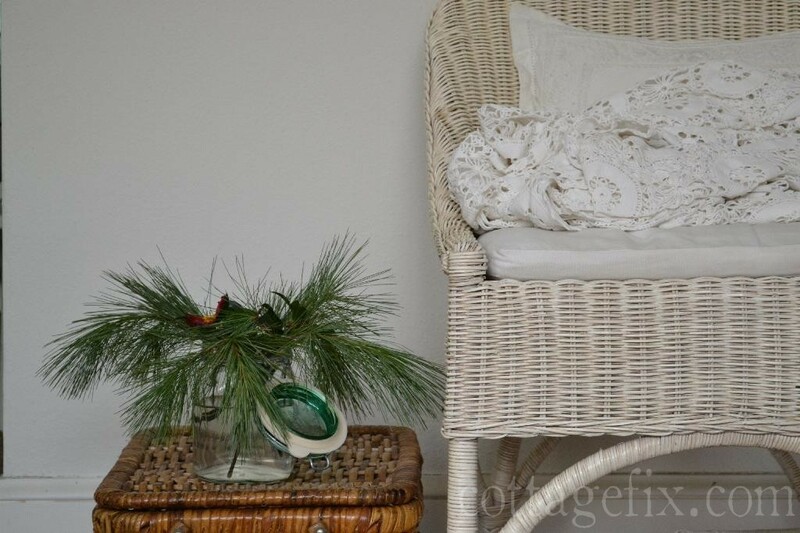 A couple sprigs of pine or autumn leaves can go a long way when there’s not much in bloom. They also last a long time in a container of water. Below I mixed changing yellow maple leaves with pink roses for a lively combination. Sometimes I like to go big! 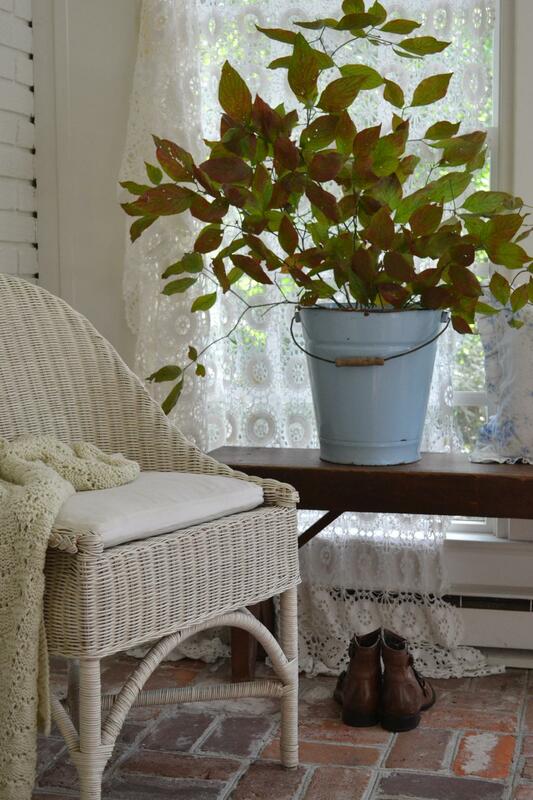 This huge bucket of changing dogwood leaves adds drama in a big way to the corner of our sun porch. Whatever happens to be blooming, or not, most of all I like to have fun, be creative, and attempt something beautiful. 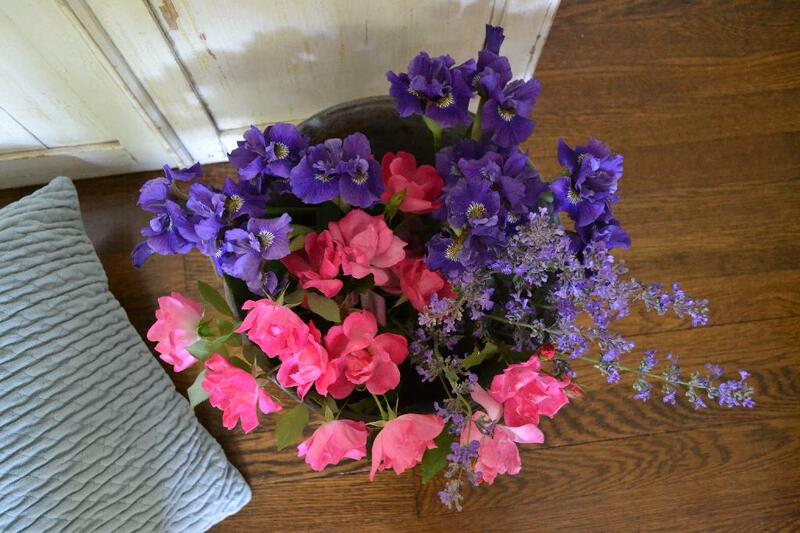 Nothing feels better to me than a cottage filled with flowers from the garden. 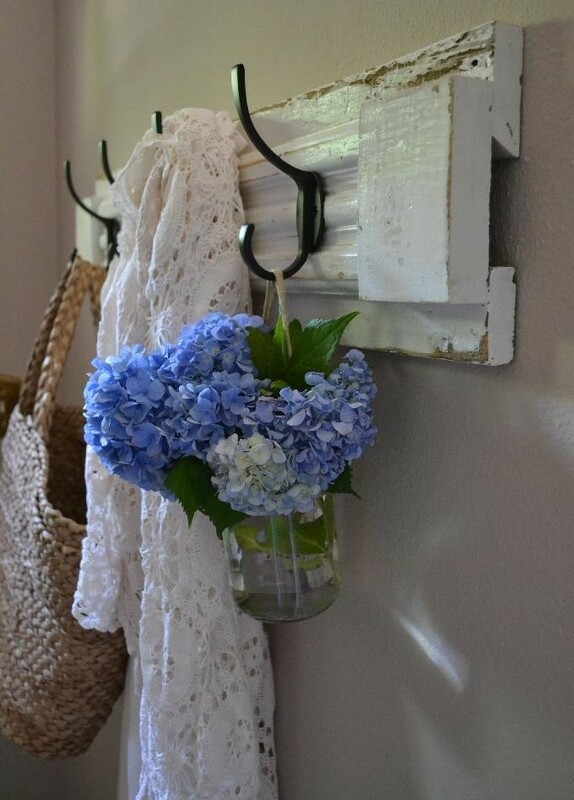 How do you like to display your garden flowers? This entry was posted in cottage decor and tagged accessories, centerpiece, decorating, DIY, flowers, garden, hydrangea, peonies on May 19, 2015 by sally. 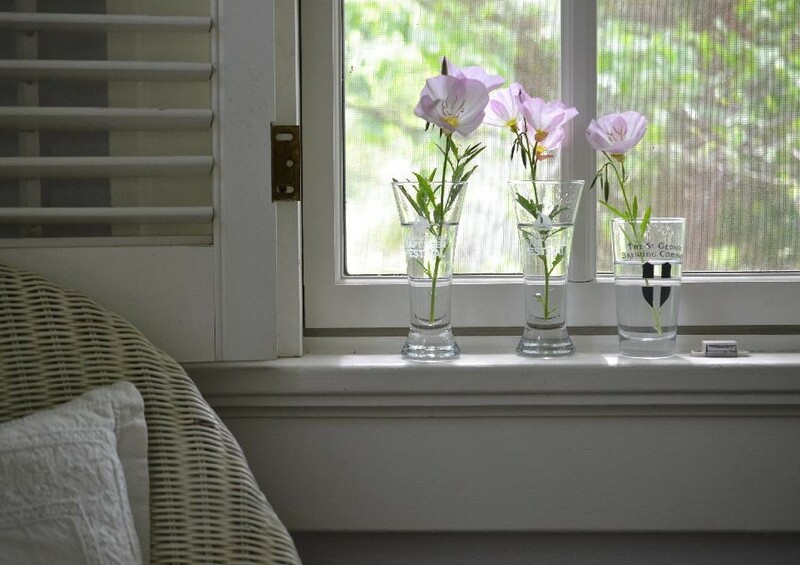 So many great ideas for using fresh flowers inside. Your photos are beautiful as are all the varieties of flowers and greens. Goodness, you are full of great ideas, Sally! I adore that blue jar hanging in the window, and the wreath is pretty too! I love all of your fresh flower bouquets! I really like how you put them in a jar and hung them up. Hmmmm……you’ve always got such good ideas! What wonderful ideas. I need to bring in some blooms to brighten up the house. 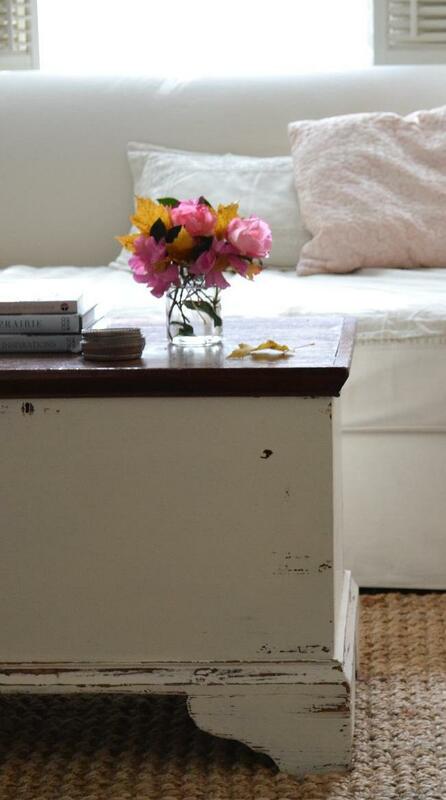 Great ideas for displaying fresh flowers in our homes. All of them were beautiful!! So beautiful here, your home stages everything wonderfully, in all its raw age. 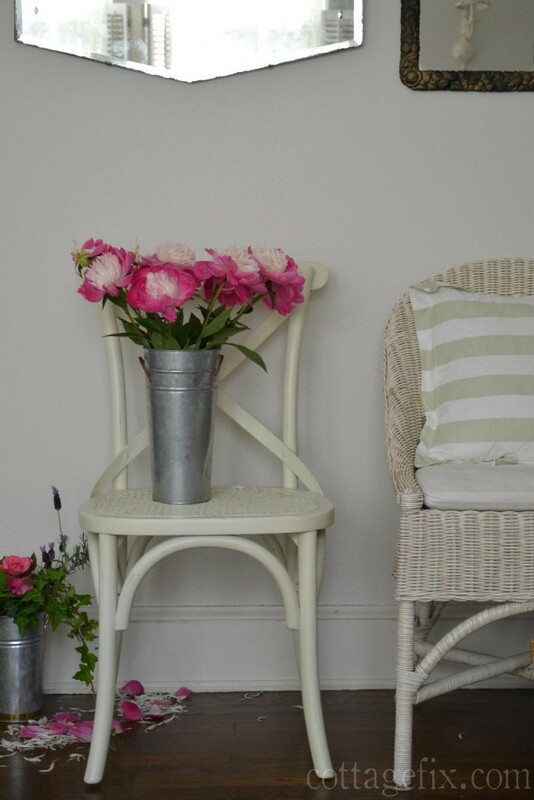 shabby chic details and that more than fabulous day!